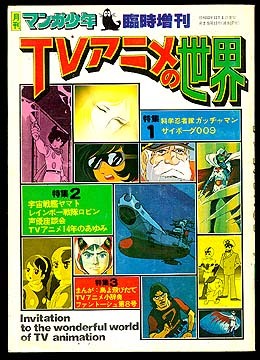 Information: This book's Gatchaman contents were; A full color fold-out poster. A list of the best 10 anime titles (Gatchaman is no 5) black and white. A sixteen page, full color, illustrated dialog script for episode #81 "Duel of Galactor Island".